The cost to switch from electric to gas varies according to how many feet of gas line you need. If the existing line has the capacity to add more appliances, a 10' extension costs between $150 and $200. If the line cannot take more appliances, you likely need a 20' to 30' extension, which costs between $300 and $750. A stove hookup ranges between $600 and $700. Installing gas service to the home averages around $2,000. 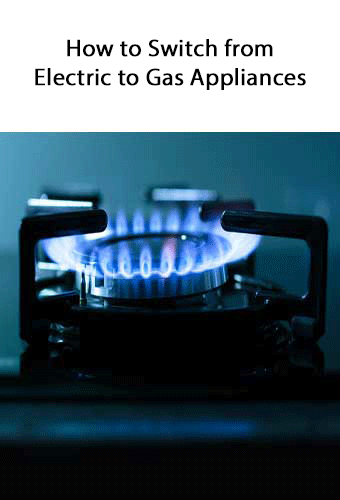 Making the switch from electric to gas appliances carries a variety of costs. The main contributing factors are how many feet of line you need and local labor rates for your contractor. Distance is calculated as the number of feet between the gas meter and the appliance. The most qualified person to install a gas line is a master plumber. If you need to purchase new appliances, expect to pay a little more for gas compared to electric. For example, a gas stove costs an extra $500 to $800 on average. Adding a gas line that extends from the main to your home can be as cheap as $0 and as expensive as $2,500. Please note that it's rare to pay more than that, although it is possible. Generally, the more the utility or municipality wants your business, the less they charge for installation. Who supplies the gas? Private companies, co-ops, and public municipalities all charge differently. What is the distance between the main line and your home? Are there any obstructions between the main and your building or home? Do any local building codes impacting cost? Talk to the local gas company to determine who installs, owns, and maintains the line that runs between the main and the meter. Usually, it's the local gas company, but not always. Also ask about the meter outside your home. Is there already a connection to a gas-run heating system? Is it less than 100' from the meter? If so, you can probably get a free install. Rural areas often run the line to the edge of your property for free. Your cost starts when you're ready to extend that line to the house. A small group of homes in a rural area can often share the cost to run a main line. If you're switching from electric to gas heating, you need a furnace. This means you also need a forced air system, which distributes heat via ductwork and vents. The cost of a new furnace ranges between $2,000 and $4,000, depending on whether you choose a two-stage or one-stage furnace. What you pay to install ductwork and vents depends on your home size. It averages between $3,000 and $5,000, but can exceed $10,000 for larger homes. Financial savings: It's cheaper to produce natural gas than electricity, which is why many gas companies offer financial incentives to homeowners who make the switch. You may also qualify for a federal tax credit if you install an ENERGY STAR gas furnace. Less expensive: Natural gas is more energy-efficient, so you use less of it to power your appliances. Cleaner: Natural gas produces less carbon dioxide than coal (45 percent less) and oil (30 percent less) making it more environmentally-friendly. Readily available: The United States has over 1 TRILLION barrels in natural gas reserves that haven't even been tapped. Installation costs: You'll pay more to install gas appliances than you will for electric ones. Non-sustainable energy: Unlike solar and wind power, there is a finite amount of natural gas in the world. It will disappear eventually, just like every other fossil fuel. Highly flammable substance: Natural gas is tasteless, odorless, and colorless. You can't detect a leak unless an odorant is added. If not handled correctly, fire or explosion are possible. Natural gas tends to be cheaper and more energy efficient than other forms of energy. Rates vary widely from one region of the country to the next, so it’s impossible to estimate the energy savings you’ll gain by switching to natural gas. But it’s a good idea to do some research comparing local gas vs. electric, oil or propane rates before you switch. 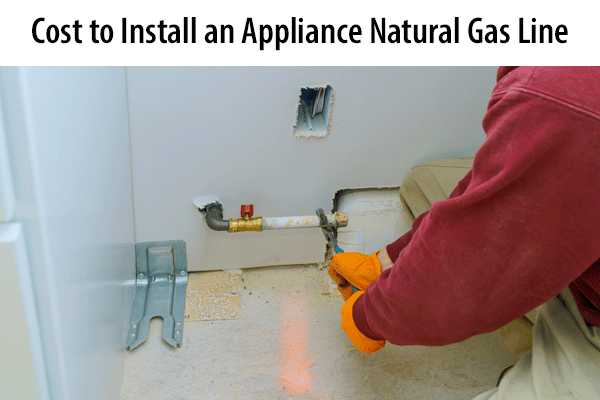 Many gas companies offer discounts and rebates to incentivize homeowners to switch to natural gas. It’s not uncommon to find rebates of $500 to $3,500 toward the cost of conversion in addition to discounts on the cost of installing a gas line. Federal tax credits of up to $500 are also available for converting to qualifying energy-efficient appliances such as furnaces or hot water heaters. Only hire a licensed plumber. Ask for proof that the person is licensed to work with natural gas lines, and check with your state’s licensing or plumbing board to make sure the license is active. Do some background research. Check the plumbers’s rating with the Better Business Bureau. Ask for references - and be sure to check them. Make sure the company has a physical address and a website. Always seek multiple quotes to compare prices before hiring anyone. Throw out any bids that come in suspiciously high or low. Often, companies with unusually low bids are cutting corners. Consider hiring a plumber who specializes in gas line repair. These professionals work with gas lines every day, so they know exactly what to do to get the job done quickly, accurately and safely. Need a Gas Line Pro Near You?